She was serving in Oyo State, 2018 Batch 'C' Stream2. 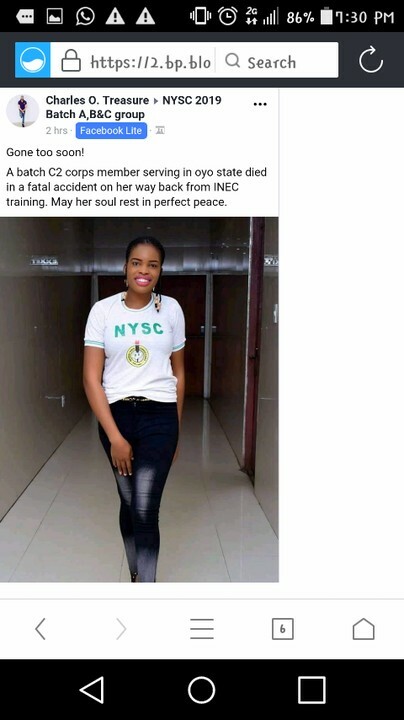 A batch C2 corps member serving in oyo state died in a fatal accident on her way back from INEC training. May her soul rest in peace."